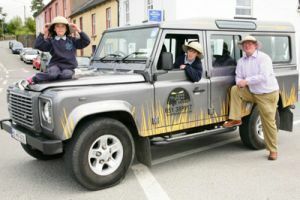 Ryder Cup hero Philip Walton took the challenge of forging a stern golfing test from the mixture of parkland and links, which is St. Helen’s Bay Golf Club - "Ireland’s sunniest golf course". The 17th and 18th holes enjoy a dazzling crescent of beach and sparkling sea which accompany the fairways all the way home. Early holes play uphill where the gentle rising landscape, afford lovely panoramic views of the Wexford coast and countryside. 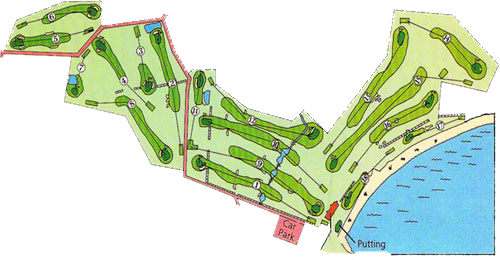 Other features of the course include water hazards on the 11th and 12th and restored "famine" walls at the 1st, 9th and 10th. The 18-hole parkland course is a sizeable 5,991 m Par 72 with a standard scratch of 72 off the back tees, boasts nine water features, bunkers and 5,000 trees, requiring full concentration to avoid succumbing to the obstacles. 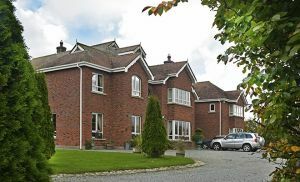 St. Helen’s Bay has a state-of-the-art clubhouse and the largest on-site accommodation in Ireland. 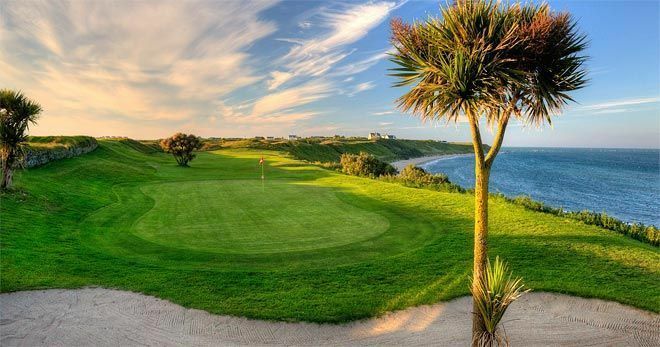 The visitor is assured of a very friendly welcome and a memorable game of golf on st Helens Bay course, which is improving every year. The Ladies of St. Helen’s Bay Golf Club were finalist in the Finn Trophy in 2017, when the team was Ger Smith, Frances Reid, Georgina Darling, Emer Farrell, Aine O’Connell, Janet Slattery, Bernadette Tully, Bernie Furlong ,Helena O’Connor, Kathleen Murphy, Mary McCormack and Nora Kavanagh. Larry Byrne, the original owner of the St. Helen's Bay golf course, and I go back a long time. Larry was a first-class hurler with Wexford. Before that he played with St. Peter's, Wexford. I played for St. Kieran's College Kilkenny, all those years ago, Peter's were our arch enemies as we where theirs. There were no quarters given in those matches and every player gave his all. He had to there was no hiding place after the match, as you had to go back and live with the "hurlers on the ditch." I used tell the kids in Ballinascorney, when they would tell me they felt pressure representing the club "if they wanted to know what pressure in sport was, it was being a Dub playing with Kieran's and 500 fellows on the side-line thinking they should be out there and not you." They all thought Dub's couldn’t play hurling. St. Helen’s Bay golf club captures the essence of a bygone era covering 150 acres of sweeping Wexford terrain and incorporating existing features dating from Norman times, the bay area is characterised by the exotic civilisation transplanted from the European continent by newcomers. The existing tower-house near the 12th hole dates from the 13th century. At various points around the course are painstakingly restored dry stonewalls, unusual for this part of Ireland. Originally erected during the famine, these walls are steeped in history. Also known as "Pirates Cove" the mile long beach at St. Helen’s Bay was used by smugglers during the 19th century. Within a view of the course is Tuskar Rock-a local landmark and central theme of many a Wexford tale.